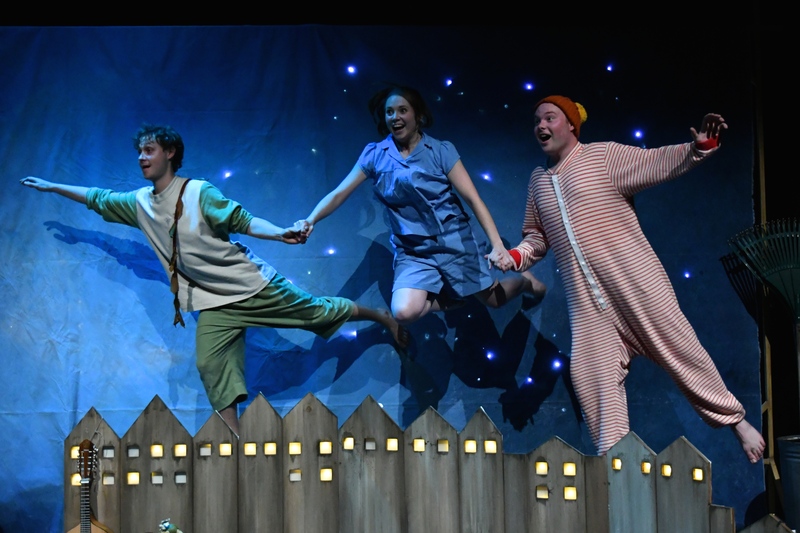 Underneath a Magical Moon, a reimagining of Peter Pan as told by Wendy Darling, will fly into Lewisburg on Saturday, April 13 at 10 a.m. and 1 p.m. at the Weis Center for the Performing Arts. Both performances are 60 minutes in length, without an intermission. The Family Discovery performance is suggested for grades K-5. Free kids’ activities from the Lewisburg Children’s Museum will take place in the Weis Center Atrium from 11 a.m.-12:45 p.m. Activities will include: Floating in Neverland, Magical Mobiles, Dry Ice Fairy Bubbles and Pipe Cleaner Magic Wand. Underneath a Magical Moon is a reimagining of Peter Pan as told by Wendy Darling, who gazes out at the night sky dreaming of blue lagoons, magical moons and, most of all, the stories. Audiences will fly with Wendy and her brothers as they create the world of Neverland, where time stands still and the impossible seems possible. Even everyday objects become extraordinary under the magical moon. This sparkling new production is by international award-winning writer Mike Kenny, scored with exquisite live music and songs that includes enthralling movement and a sprinkle of fairy dust. The performance is produced by tutti frutti and York Theatre Royal from Leeds, England. tutti frutti are a national touring company creating high quality work for children and their families to enjoy. Based in Leeds, England, tutti frutti has been delighting children aged 3 and over for more than 25 years and tours nationally and internationally to schools, venues and arts centers. 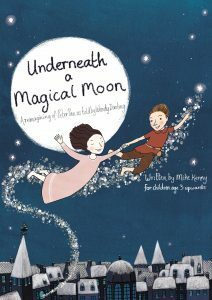 Underneath a Magical Moon is set in an ordinary back garden where three children, Wendy, John and Michael, do a sleep out, one summer evening. However, it’s a full moon, and Wendy just can’t get to sleep and she begins to tell her brothers the story of Peter Pan. Slowly but surely they are drawn into the famous tale. They become Peter himself, the villainous Captain Hook, Tinkerbell, a bunch of Lost boys, a crocodile and a gaggle of Mermaids. They fly, they swim, they sail and fight battles, and conjure up Neverland in their own back yard. The boy who wouldn’t grow up has a hold over their imagination. They all begin to wonder about how they actually feel about growing up, who they will become, and what they’ll take from their childhoods. Tickets for the Weis Center performance are $20 for adults, $16 for seniors 62+, $10 for youth 18 and under, $10 for Bucknell employees and retirees (limit 2), $10 for Bucknell students (limit 2), and $10 for non-Bucknell college students (limit 2). Tickets can be purchased online at Bucknell.edu/BoxOffice or by calling 570-577-1000.